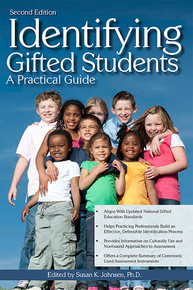 The newly revised Identifying Gifted Students: A Practical Guide is aligned with both the updated National Association for Gifted Children (NAGC) Pre-K-12 Gifted Program Standards and the NAGC and The Association for the Gifted, Council for Exceptional Children (CEC-TAG) professional development standards. This book is relevant in any state or setting that intends to meet these national standards and uses multiple assessments to identify gifted students within an increasingly diverse population. Designed for practicing professionals such as teachers, counselors, psychologists, and administrators, Identifying Gifted Students addresses definitions, models, and characteristics of gifted students qualitative and quantitative approaches to assessment culturally fair and non-biased assessment and how to evaluate the effectiveness of identification procedures. In addition, the book provides a complete summary of all major assessment instruments, including scoring information, reliability, and validity.